← New Look: Get It! 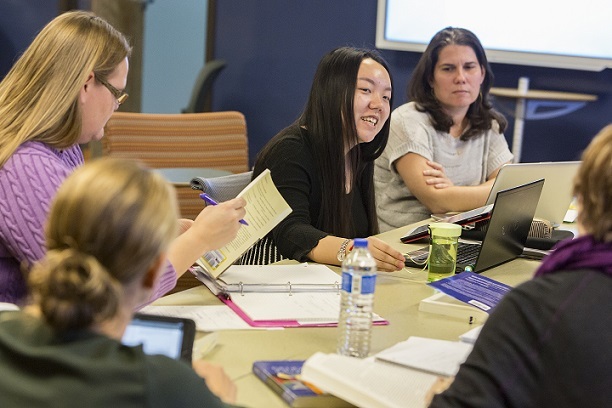 Binghamton University Libraries and the Center for Learning and Teaching invite faculty and instructors to apply for grant funding to help support the conversion of their course textbooks and materials to free Open Educational Resources (OER). “Open Educational Resources (OER) are teaching and learning materials that you may freely use and reuse at no cost. Unlike fixed, copyrighted resources, OER have been authored or created by an individual or organization that chooses to retain few, if any, ownership rights” (OER Commons, CC BY-SA). This grant supports the adoption of open textbooks and OER during the 2018-19 academic year. Applicants from all areas are encouraged. Grant awardees must commit to using the OER content selected/developed using this grant money for at least two semesters starting in the Fall of 2018 and to be available to discuss experiences with OER adoption to a wider campus audience. Recipients will be chosen based upon greatest financial impact and savings to students. High enrollment and high cost classes will be given priority. Awards are anticipated to be in the amount of $2,000 per course converted. The grant application can be found here. The deadline to apply is May 31, 2018 with recipients being notified by June 1, 2018. NOTE: Often times, faculty use resources that are free to students (articles in course reserves, scans of textbook chapters uploaded into Blackboard, websites, etc.). Although we encourage the use of free materials, these materials are not OER. The key difference is that OER may be modified, adapted or redistributed without obtaining the express permission of the copyright holder. This grant specifically applies to OER only. This entry was posted in Blog, Collections, Faculty, General Information, General News, Grants, Libraries, libraryhomepage, Open Educational Resources and tagged Grant, Learning, OER, Open Educational Resources, teaching, Textbooks. Bookmark the permalink.